A low glycemic, super-food infused, healing and alkalinizing smoothie recipe perfect for all the green smoothie drinking green goddesses out there! 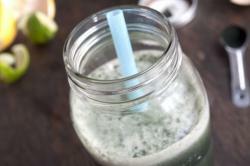 Added to the green power of cucumber and romaine there is the addition of spirulina and barley greens powder, as well as a hit of herbal medicine from maca and the Chinese herb he shou wu. 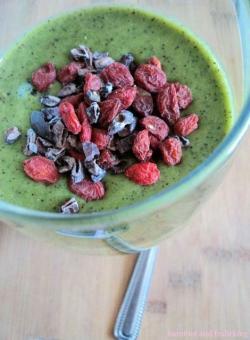 Top with goji berries or bee pollen. This recipe is is perfect for those with blood sugar imbalances and the sweetness can be adjusted by adding more or less stevia. 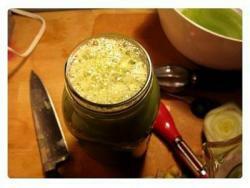 1) Blend ingredients together in a high speed blender (I use a Vitamix) until smooth. 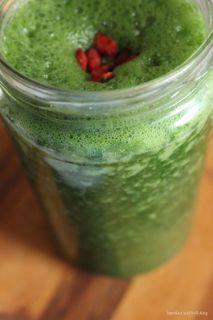 2) Top with cinnamon and your choice of superfoods (goji berries and bee pollen are always fabulous! ).